My Primary 2 students just did a craft project last month (February). 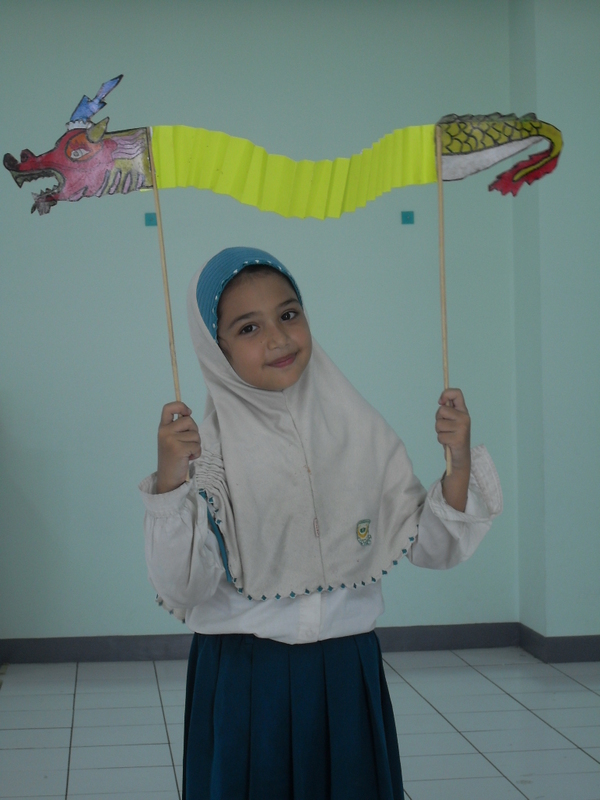 Using the theme “Chinese New Year”, each of them made a colorful Chinese dragon as one of the symbol of the event. They were having fun on making it, and vary excited when they finished their work. They can’t wait to bring the dragon home. The Primary Ones also can’t wait to make it themselves. Oh… they have to wait until their hands become stronger to be able to cut the thick and hard construction paper. Just wait for later, next year. I’m happy that they are so eager on doing some art and craft projects in my class. They like most of the projects and always ask for more. It makes me think harder to find many different resources, so each year the students might have similar yet different experience on doing the projects. Searched for some art and craft sites, I came across this site: http://www.posylane.com/penny-laine-keepsake-school-year-books.htm, which gave me ideas to make school year book for my students too. I can put some of their best works in the book so they will have a great memory on what they have been doing during school time. Thank you for giving me such a great idea. 1. Collage using double-side origami paper. They love looking at the paper and enjoy working with it, so they can create their own original art work. Primary 1 doing this, and other level would love to work with the special origami paper. It’s fun! 2. The Chinese Dragon Craft Work. The 3 dimensional dragon is actually a kind of puppet. This is a Primary 2 craft project. The children are having fun playing with it. 3. Glass Art is another fun project to do. Primary 4 students are doing this. 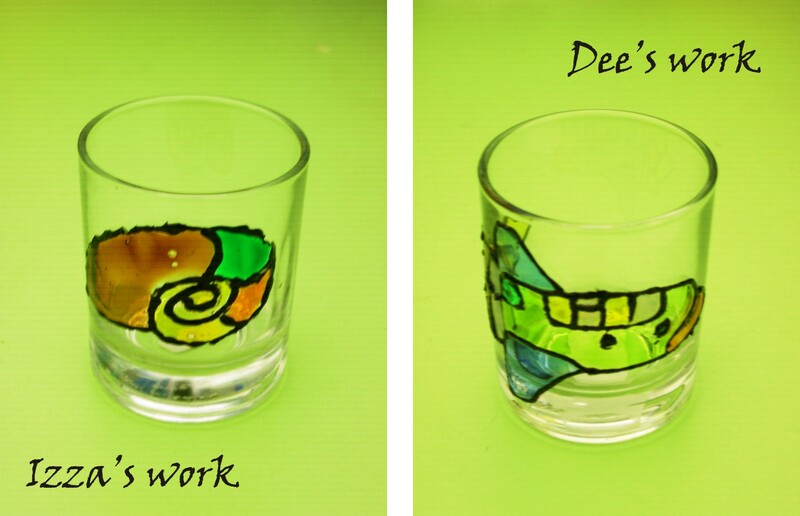 They have to draw on the surface of glass (this year they have to draw on a small cup/glass) using special paint. Although some of them found it difficult to do, but they are happy to see the result. It was fun. 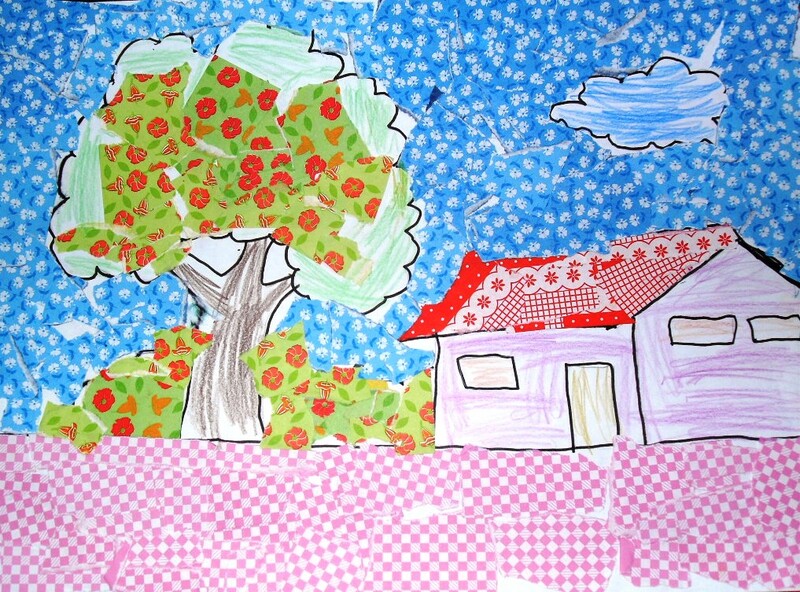 This entry was posted in Review, student's works and tagged artwork, collage, craft, fun, glass-art, Primary. Bookmark the permalink.